A Mini Champagne bottle of lanson Black champagne if there is one Non-Vintage Brut champagne that is universally appreciated, it is surely Lanson Black Label, a great classic that embodies the ideas and the character of a great House.A quality Champagne, loved the world over and is a showcase for the ideas and character of those making it. 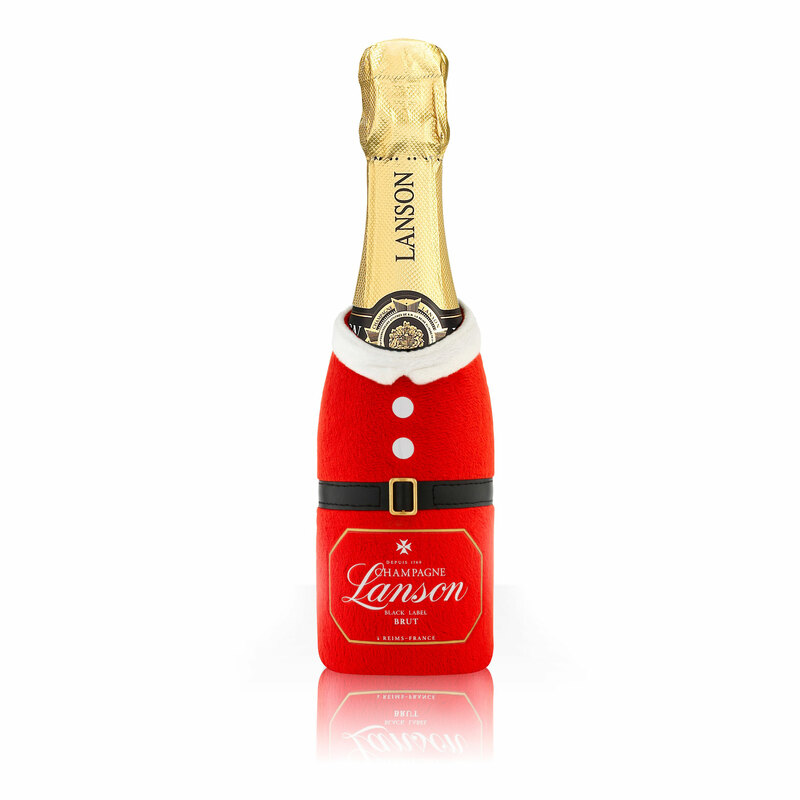 Three grape varieties come into making of Lanson Brut: Pinot Noir and Pinot Meunier (black grapes)and Chardonnay (white grapes). This come in the Santa cosy which will keep the bottle cool for longer.